On August 21, Hempstead Project Heart traveled to Washington state to take part in the hemp blessing put on by the Confederated Tribes of Colville Reservation. Found along the banks of the Columbia River, the Colville Reservation broke ground on a 60-acre hemp farm. Throught the utilization of sustainable agriculture, Colville planted hemp in the hopes of building an environmentally friendly industry for their tribal members and surrounding communities. Hempstead Project Heart adviser, Doug Fine, consults with the Colville tribes and personally invited Hempstead Project Heart to the hemp blessing ceremony. Marcus Grignon, Campaign Manager, traveled to the ceremony during the solar eclipse and camped out to attend the event. The following morning, Marcus accompanied Doug Fine along with Margaret Mackenzie of Salt Creek Hemp Company and also an adviser to Hempstead Project Heart, to the 60 acre hemp field with members of the Colville Business Council, administration, and media. The ceremony began with a blessing from the chairman followed by a song. The chairman of the Confederated Colville Tribes, Michael Marchand, spoke of the economic potential of the hemp farm and the efforts of the Menominee Tribe to grow hemp. Chairman Marchand thanked Marcus for coming to Washington for the ceremony and commended the Menominee tribe for their efforts to grow hemp. "The Confederated Tribes of Colville were on the chopping block for termination at the same time the Menominee were terminated," Chairman Marchand stated with a heavy heart, "Just want to recognize the Menominee Tribe has been at the forefornt of many of Federal Indian Law changes and happy we have a member of their tribe here today for the blessing." Marcus was grateful Chairman Marchand recognized the Menominee Tribe and the history of Federal Indian Law. The ceremony wrapped up and the media asked questions of the Colville Business Council as well as Doug Fine on their plans for the hemp harvest. Margaret Mackenzie gifted the Colville Business Council with dried hemp stocks from her first hemp harvest in Colorado as a thank you for the invitation to the ceremony. Marcus reached inside his medicine bag and pulled out a stone from the waters of Lake Superior. He breathed on the stone three times and asked for the Colville Tribe to have a bountiful harvest this fall. He set the stone down next to the tall hemp plants in the field and walked away. 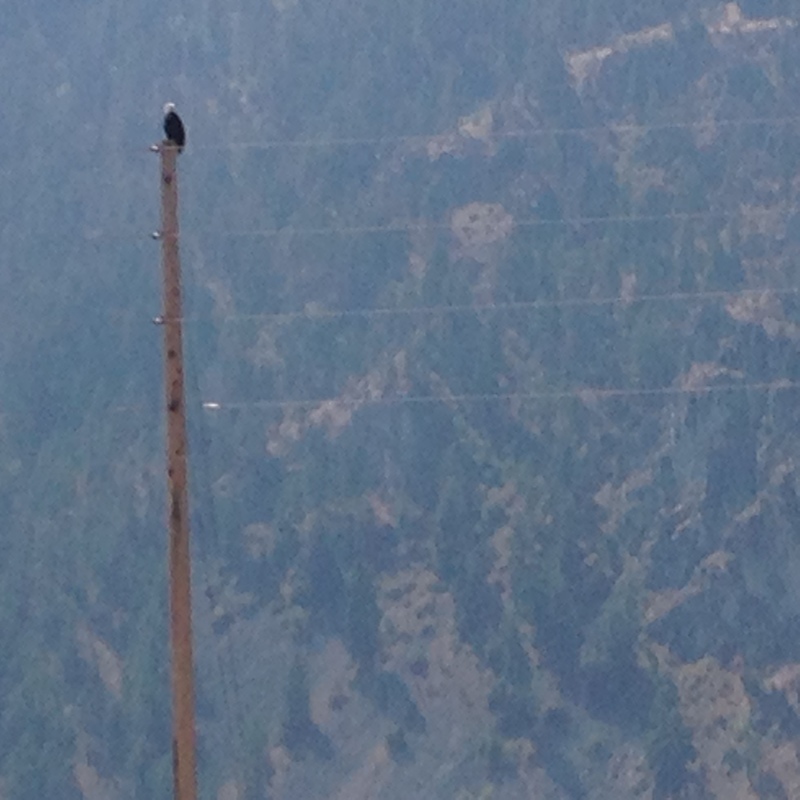 As Marcus made his way down to the Columbia River with the rest of the group, on the top of the telephone pole sat a Bald Eagle. Marcus smiled and said, "Hello John. Colville looks promising for a future spot where seven generations can learn about growing hemp for Mother Earth."